SANFORD — Santa Claus will be at Central Carolina Community College Dec. 4, enjoying the CCCC Foundation’s Third Annual Christmas Tree Lighting. He invites everyone to join him there. The free event takes place from 5:30 to 6:30 p.m. Thursday, Dec. 4, in the Lee County Campus Plaza, 1105 Kelly Drive, Sanford. CCCC Trustee Chairman Julian Philpott will read the holiday classic, “‘Twas the Night Before Christmas.” Hot cocoa and cookies prepared by the college’s culinary arts students will be served. 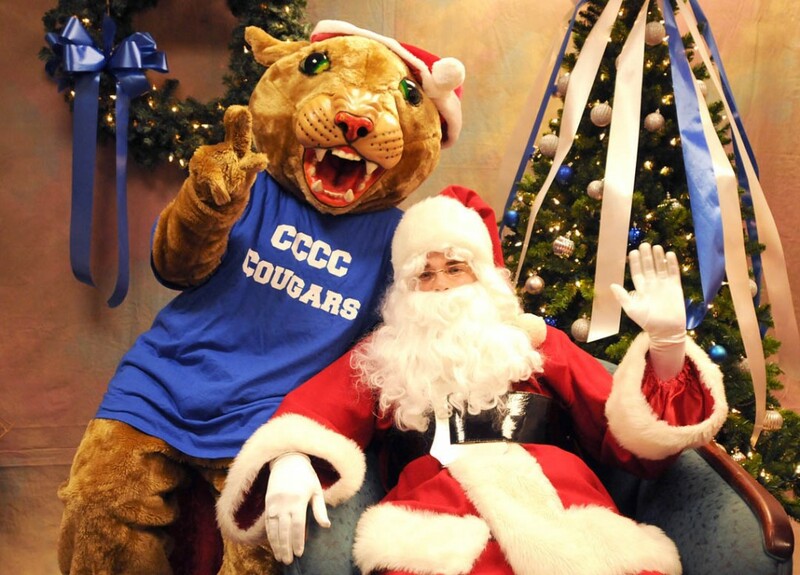 Charlee Cougar, the college’s mascot, will be greeting visitors and sharing his fun antics. Christmas ornaments will be distributed to all the children.